So far there is no consistency to the data. When that changes, so will the automotive industry. The growing disparity among states, countries and carmakers over autonomous driving is turning what should be a logical progression into chaos. Consider what’s happening in California, which is determined to remain the leader in this tech revolution. The state last month relaxed its testing rules so that cars can be monitored remotely, with no driver actually present inside the car. In effect, the race has started and car companies are lining up to compete. According to the most recent report from the California Department of Motor Vehicles, 20 companies have filed reports (and supplemental reports) about the number of autonomous miles driven in California in 2017. The list goes on. Every company, and every country, is vying for a piece of this market. A member of the Scottish parliament wants to turn one of the country’s islands into a development site for autonomous vehicles. And the Pentagon is racing ahead with its own autonomous vehicle plans. What becomes clear from comparing all of these programs, though, is just how many discrepancies there are between different regions, countries, companies and industries. While they all are trying to achieve the same goal, the race is on to develop the ultimate system with a winner-take-all type of approach. But there are couple of problems. First, each entity alone has too little data to make these systems properly. Artificial intelligence, machine learning and deep learning all benefit from having more data to train their systems, and in the case of autonomous vehicles that means everything from ice storms to blazing heat, potholes, different driving surfaces, various driving styles, and unexpected obstacles, which to an electronic system are unexpected corner cases. No single carmaker or tier-one supplier can imagine all of those possibilities, and neither can any state, country or government agency. 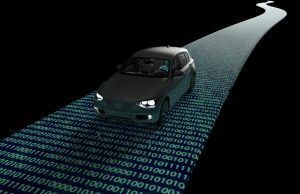 While a carmaker can utilize data compiled over millions of miles, autonomous vehicles will require tens of billions of miles of data to be effective. Individually, that will take decades. Collectively, it can be done in far less time with far more scenarios. Second, none of this data today is consistent. Even forms submitted to the same government agency vary greatly on terminology and reporting style. There is no objective set of metrics for what is considered a serious problem, what else it can impact, or any deep insight into what may have gone wrong. Why, for instance, was there a failure in a system? Was it insufficiently tested, or was there a design flaw in the hardware or software? And does a design flaw for one vendor mean the same thing as it does for another? What happens when systems age unevenly, or when extreme temperature or vibration degrade the electronics? But if data is more consistent so that it can be collected across a greater sample set and compared, then all carmakers and suppliers will have to adhere to a much tighter set of standards. And at that point, a lot of people will be questioning where is the real value in the supply chain. Is it the automotive OEM, or is it the makers of the AI systems that power those cars? It’s not that far-fetched to think that Apple, Google, Microsoft or Alibaba could become the brand people care about in vehicles, or that carmakers like GM and Volkswagen could become logistics management companies. At this point, there are few rules of the driverless road. That will change as this technology begins rolling out, and it’s almost certain not everyone will be happy about that.